NONE - "Where Life Should Be" available now!! A new misery from the enigmatic pacific northwest. "Where Life Should Be" is an emotionally devastating journey, drenched in atmosphere and hopelessness. Free digital compilation album "Subarctic Nocturnes: Within the Ice" [Volume II] released now! A few weeks ago, we released a Doom Metal collection under the Subarctic Nocturnes banner. As we stated at that time, it was meant to be the first of a three-part trilogy series of compilation albums that we would be releasing. Now, we present to you "Subarctic Nocturnes: Within the Ice[Volume II]", a collection of Black Metal and associated genres! Presenting the latest edition(s) in the annual Hypnotic Dirge compilation albums which have always been (and always will be) available for free download. This year, due to the enormous size, we've decided to release two compilation albums simultaneously. 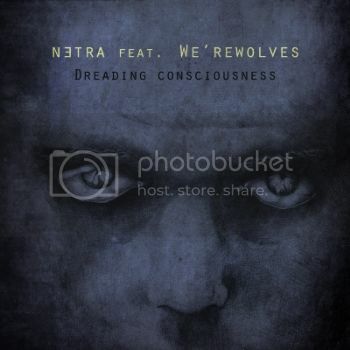 netra ft. We'rewolves - Dreading Consciousness EP free download available now! Australasia - Sin4tr4 available for free download from Hypnotic Dirge Records! Here subterranean streams alternate with tidal waves, turning into cinematic pictures that can last just the blink of an eye. Depecting Abysm/Windbruch/Gmork - "Silentium!" Free Download available now! Hypnotic Dirge Records is pleased to announce the release of a free digital download split album between three atmospheric black metal bands from Russia - Depicting Abysm, Windbruch, and Gmork. The album is entitled "Silentium!" and features three brand new tracks from each of the bands! Truthseeker - Weightless at Dawn EP released on Hypnotic Dirge for free! Hypnotic Dirge 2012/13 : Solipsist Anthems FREE DOWNLOAD AVAILABLE NOW! The fourth annual free digital Hypnotic Dirge compilation album is now available to stream and download! This year's edition has almost 2 and a half hours of music over 20 tracks from both Hypnotic Dirge artists, guests from Solitude Prod., and some bonus tracks! Also on this compilation is about 30 minutes of video, full album artwork, notes from all of the artists, and photography. Élan O'Neal releases “Subterranean Cartography” for free download! Élan O'Neal, the musician behind Old Forgotten Lands has recorded and released a full-length concept album entitled "Subterranean Cartography" under a different project name. The album has been made available for free streaming and download in our DOWNLOADS SECTION as well as on BANDCAMP. The album is also available to order on CD, but only in limited copies from SWAPTKULT PROD. More information about this release is available at the links above. Hypnotic Dirge comp. #3 available to download now! Hypnotic Dirge Records Compilation #3 : Desolation. Dissonance. Delirium available to download now! Official HDR T-Shirts and Three Year Anniversary Packs now officially released! Hypnotic Dirge Records FREE Compilation #3: Desolation. Dissonance. Delirium. to be released Dec. 8th, 2011!! stroszek - a break in the day EP available for free download! Deprived of Light - Colored Death album is now available to download! Ekove Efrits - Hypermnesia album is now available as a free download! Astral Luminous - Lunaric Tide album available for free download!